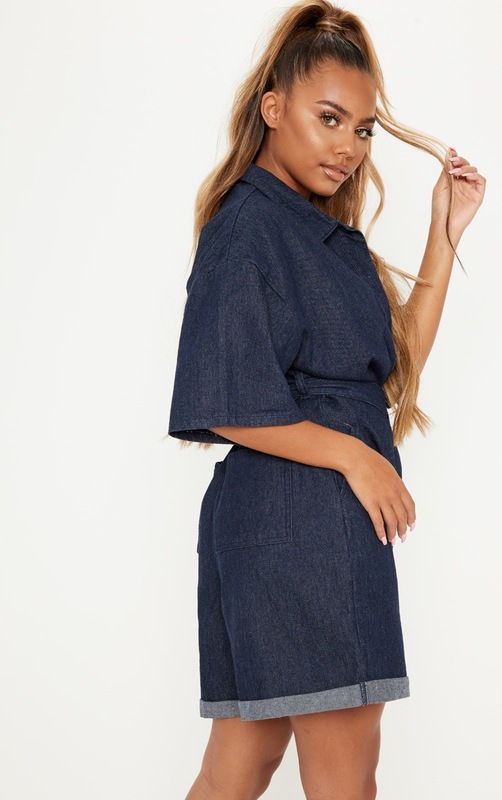 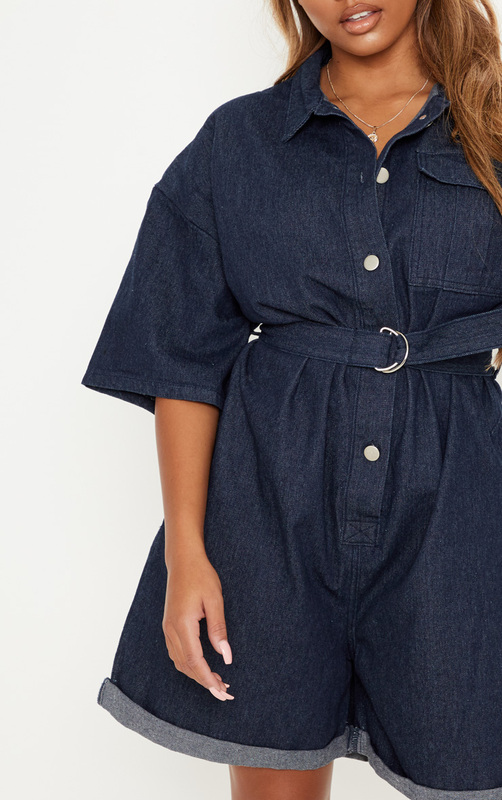 Anything denim is at the top of our hitlist this season and this romper is nailing the game. 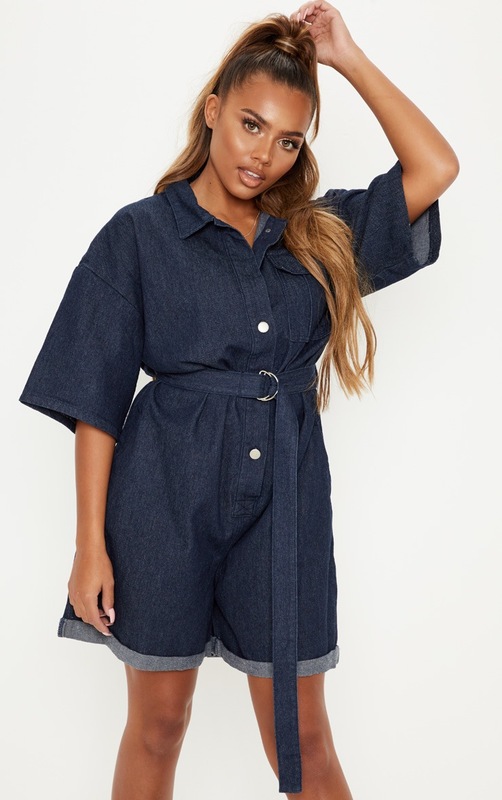 Featuring a dark wash denim material in a shorts style with an attached belt that cinches in your waist, what's not to love? 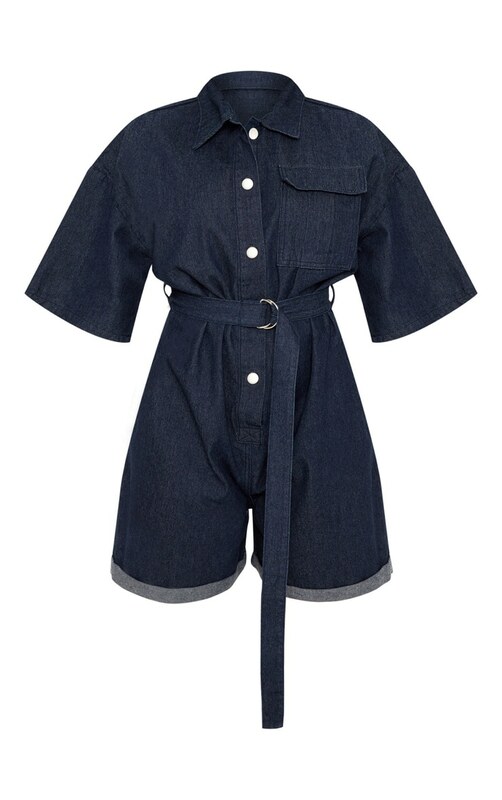 Team with hoops and add snake print boots for a look that will be turning heads for all of the right reasons.